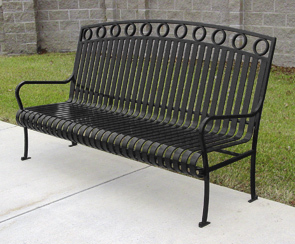 This bench was designed for beauty and built for durability. It is handcrafted using the highest quality steel. Its powder-coated finish will protect it in the harshest settings. Available in the colors shown below. Ships fully assembled.